A 54-year-old woman was killed in a hit-and-run accident in south suburban Tinley Park, police said. 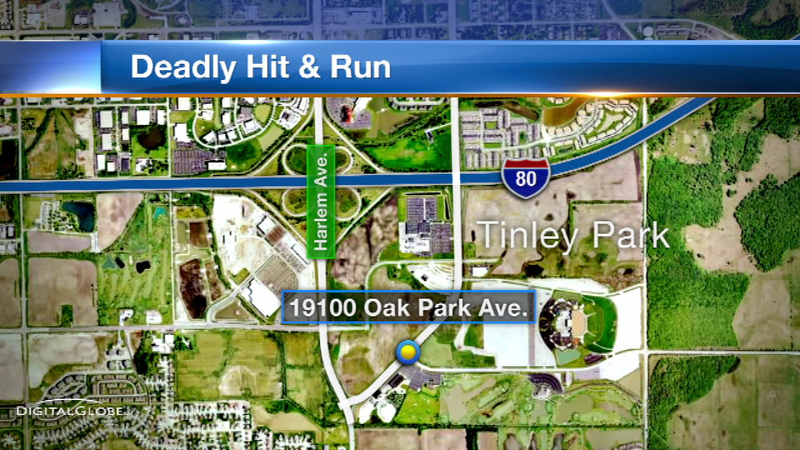 TINLEY PARK, Ill. (WLS) -- A 54-year-old woman was killed in a hit-and-run accident in south suburban Tinley Park, police said. Luisa Domantay was walking around 12:15 a.m. Saturday when she was struck by a car in the 19100-block of South Oak Park Avenue; police say the driver then fled the scene. Domantay was transported to a local hospital where she was later pronounced dead. Police say the vehicle involved in the accident appears to be a dark-colored 2005 Jeep Grand Cherokee with front-end and front-side damage on its right side. Police are continuing to investigate and ask anyone with information to contact Tinley Park police.